13ATHENS – We’re back in Greece now. On Friday, we took a tour of the ruins of Ephesus. It was to the small Christian community here that St. Paul directed so many of his letters. It was here, too, where Mary is said to have lived out her life after the crucifixion. After visiting the House of Mary, and marching up and down over the tumbled stones of the Roman-era city, we took the bus back to Kuşadasi (next to Ephesus on the western Aegean coast of Turkey). There, our group of amateur archaeologists and retired doctors was invited to sit down in the shade of a rug merchant’s showroom. “I know you have heard that rug merchants are thieves. And that is true. All my competitors are crooks. I am the only honest rug merchant in the city. We were served glasses of Turkish hooch, raki, while the salesman continued. He unrolled one carpet after another – further explaining how each was made… and gradually working up to larger and more beautiful rugs. Finally, a stunning silk-on-silk rug – 9 by 12 feet – was flung open on the ground as our crowd oohed and aahed in appreciation. The raki was taking effect. “How much is that one?” one of our fellow tourists wanted to know. He was a good salesman. Charming. Informative. Cheerful. And the rugs kept coming… one after another, like waves of infantry onto a beachhead, each one gaining more ground. People who had no intention of buying a rug when they arrived in his shop were soon raising the white flag, wondering which one would go best with their drapes and furniture back home. We looked around the room. Who was going to pay for this presentation, we wondered? The nice couple from Houston, who were building a new house? The doctor and his wife from Pennsylvania? The Englishman? The Frenchwoman? Ephesus was just one of many cities founded by Greek-speaking peoples in the Mediterranean basin. The islands and the mainland of what is today modern Greece were inhabited by non-Indo European peoples (such as the Minoans) until about the middle of the second millennium B.C. 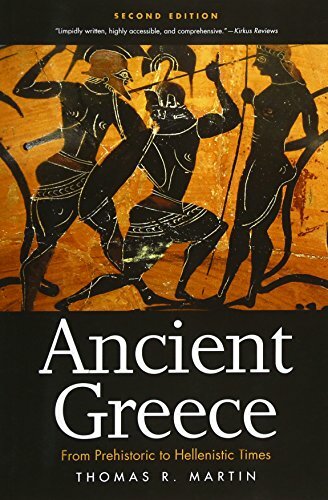 Then came the Greeks… or proto-Greeks. They developed their Mycenaean culture and dominated the area until about 1100 B.C. No one knows what caused it, but the civilization went into decline. The population went down. People forgot how to read and write. Greek historians blamed an invasion of more barbaric Greeks, the Dorians. Modern historians have been unable to confirm or deny this charge. But 1100 B.C. was a bad time for Mediterranean civilization. The Hittites and Egyptians also ran into trouble. 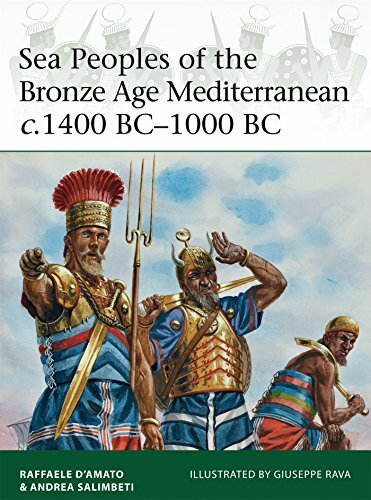 The “Peoples of the Sea,” whoever they were, were terrorizing everyone. But after a dark age, which lasted about 300 years, the Greeks get rolling again. Homer appears. The Phoenician alphabet is adopted. About 500 years later, Aristotle was instructing Alexander the Great. What does this have to do with money? What has happened in the world of money while we’ve been following the footsteps of Ulysses? 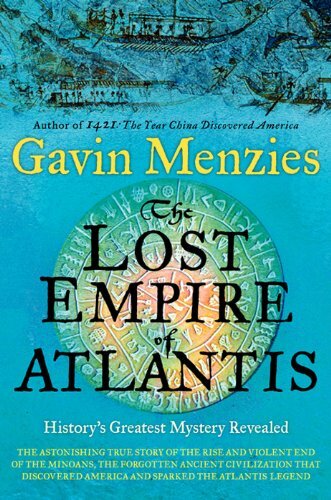 The Lost Empire of Atl... Gavin Menzies Check Amazon for Pricing. Well, things seem to have gone okay without us. The Dow is back over 17,000 points. Global stocks, commodities and emerging-market currencies headed for their best weeks in years, extending a rally that’s added about $2.5 trillion to equities as central banks show no desire to pull back on stimulus anytime soon. And Ben Bernanke has a new book out with a title that must be the most bald-faced chutzpah we’ve ever seen: The Courage to Act. That’s what he’s calling his market manipulation in reaction to the crisis of 2008. Instead of letting the markets correct the debt problem, Mr. Bernanke broke out in a cold sweat, panicked, and began the biggest market manipulation in history. The result of this cowardice is that today the world faces an even bigger crisis.